June 6th is very special day for Daggubati’s. 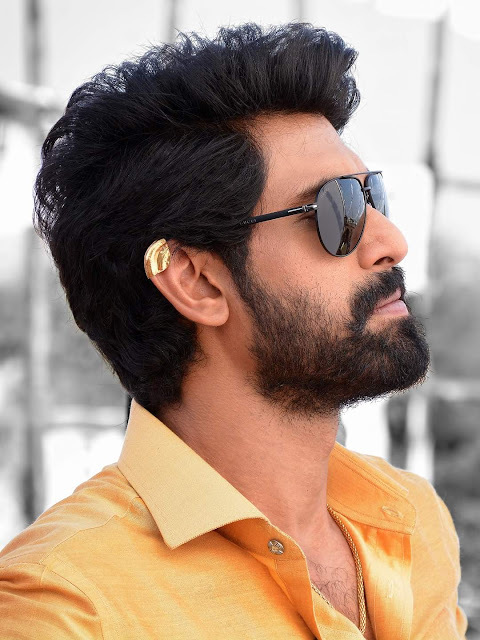 On the eve of Movie Moghul Dr. Daggubati Rama Naidu’s birthday, Rana will release the first teaser of his next ‘Nene Raju Nene Mantri’ through his micro-blogging site @RanaDaggubati. The teaser that goes live on 6th June will give you a sneak peek into Jogendra’s attitude played by Rana. “I love the audacity of jogendra in this film.” says Rana Daggubati. Nene Raju Nene Mantri is packed with gripping moments and this teaser is just a minute glimpse of Jogendra’s attitude. All films Rana Daggubati had acted have been acclaimed for his courage to carve a distinct screen persona, Director Teja said. I wanted Nene Raju Nene Mantri vision to match not only the actor’s stature but also surpass the viewer’s expectation from this big promising actor. Rejoicing the moment Producer Suresh Daggubati said “Nene Raju Nene Mantri’ would certainly be another landmark in Rana’s career and will bring diversity in his acting talent; this will be a stepping-stone to something even bigger. The makers of the film have roped in big star cast for the film to ensure a grand appeal, Rana Daggubati, Kajal Aggarwal, Catherine Tresa, Navadeep and Ashutosh Rana play big stellar roles in the film. Directed by Teja, “Nene Raju Nene Mantri” is produced by Suresh Daggubati, CH Bharath Chowdhary and V Kiran Reddy under Suresh Productions and Blue Planet Entertainments.